Every wonder how to send a free text message to a Jamaican mobile number regardless of the provider? I'll show you in 10 seconds - and you'll be able to do it at zero cost! You'll simply send it as an email. This facility becomes even more helpful if you have many friends in Jamaica and would rather send then all one text, eg. "Happy New Year from Joan in Michigan". First, find your friend's Jamaican phone number. Check to find out the provider they use. The majority of mobile users in Jamaica are subscribed to either Digicel and LIME. On the text area that it mentions "Reverse Phone", enter the Jamaican phone number and click "search" or the magnifying glass. Make a note of either. You might get other results, but I find that all ALL DIGICEL NUMBER WILL SAY "Mossell Jamaica"- anything else is LIME! Click on "Compose" (or create) an email message, as you'd normally do for regular emails. The Phone number, that is 876 + seven digits then @mylimemobile.com, if the provider said "Jamaica Tel. Co. landline" (or anything other than Mossel Jamaica) from step #2 above. Simply type your message- you can type the entire text in the subject field or use the regular email body; the first 130 characters will be sent. 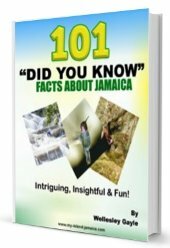 Within short order your friend (or family) will receive your email as a text message on their phone in Jamaica! Just note that your email address will be sent as well and in the case of Mossell Jamaica" (Digicel) the recipient will see the sender as "555". There you have it! No verfication code, No sign up, Nothing! 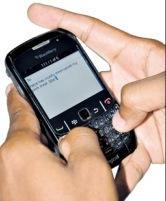 Just a quick, simple, and FREE way to send free text (SMS) messages to to Jamaica using your email. Jamaicans (locally) may also do the same - it doesn't have to be from outside the country. I currently use this feature to send messages to many of my fellow clubites, cricketers, and travel business partners to advise of updates and new developments. It can also be an easy way for public relation officers, secretaries, church members, students or members of other organizations to communicate instantly. Will not go through they bounce back, they take awhile to say they don't go through. I miss using it. Please get it fixed again. The digitext works perfectly but with the LIME switched to FLOW this is no longer applicable. Does anyone know how to do this with flow. It does not work with the Lime number anymore for real. Would love to get the solution too, 1876xxxxxxx@FLOW??? Is it also free for someone in Jamaica to respond to the email/text? Thank you so much for this valuable information. This is right on time. Up until about a month ago, I used to send texts to lime phones without any problem, but I have recently noticed that it doesn't work for lime anymore, i.e. 876xxxxxxxW@mylimemobile.com. The given format works fine with digicel. Is anyone else having this problem? Better yet, does anyone have a solution? Thanks for sharing. keep up the good work. very useful!! Great to get your newsletters Wellesley, and thanks for this great tip ... very useful. Will pass it on to my visitors in the form of a link to your page.